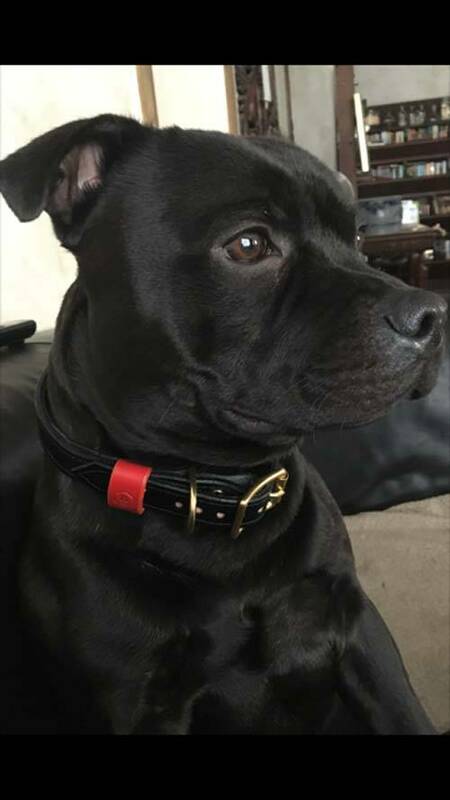 A beautiful and very durable handmade black dog collar with a brass buckle and D-ring, made of high quality bridle leather. 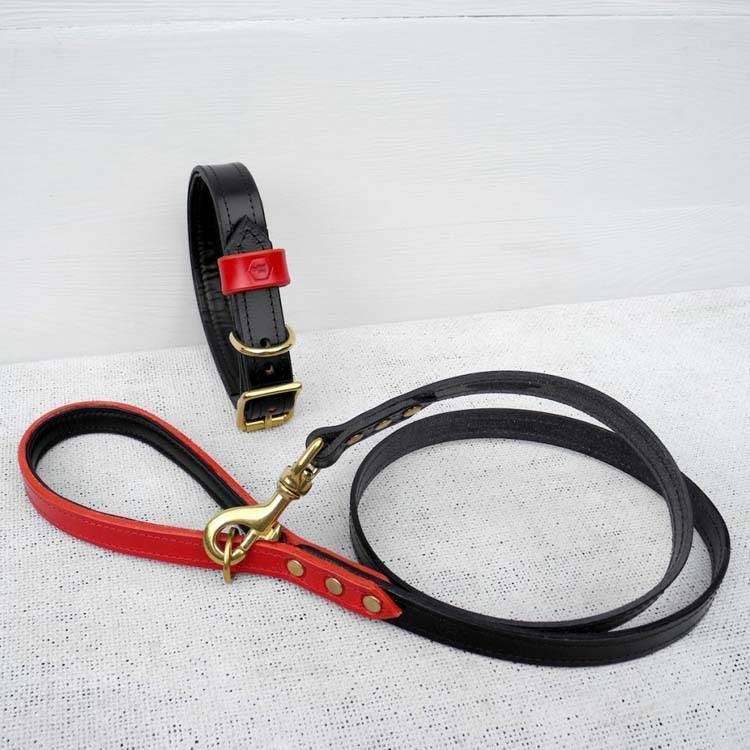 This handcrafted gorgeous dog collar is made of bridle leather. 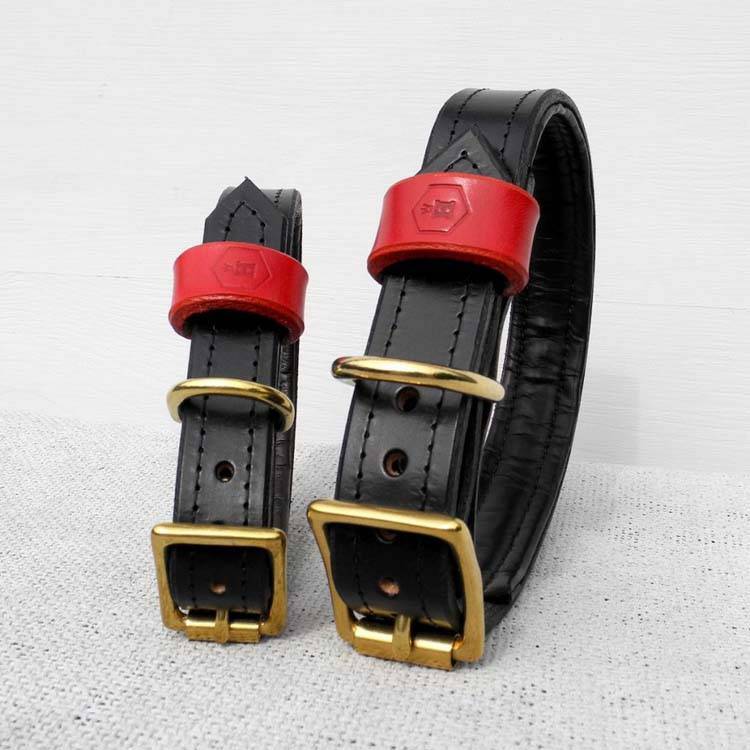 This type of leather is used in horse riding gear. 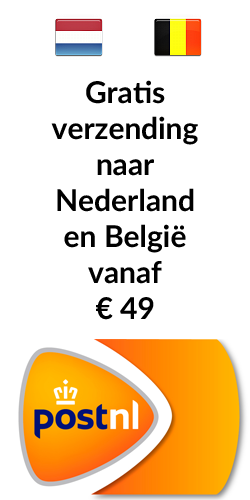 The leather is made from the finest pieces of leather and is extremely durable. English Bridle leather is among the top in the world. Houndworthy uses the leather of Sedgwick & Co., which manufactures the finest and best English leather in the traditional way since 1900. 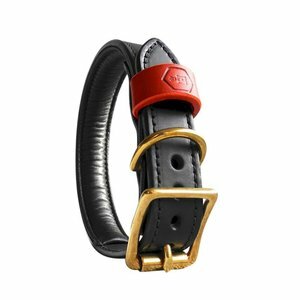 The leather can withstand bad weather and dirt, remains pretty with prolonged and intensive use and is smooth and comfortable. You can read more about the leather on this page. 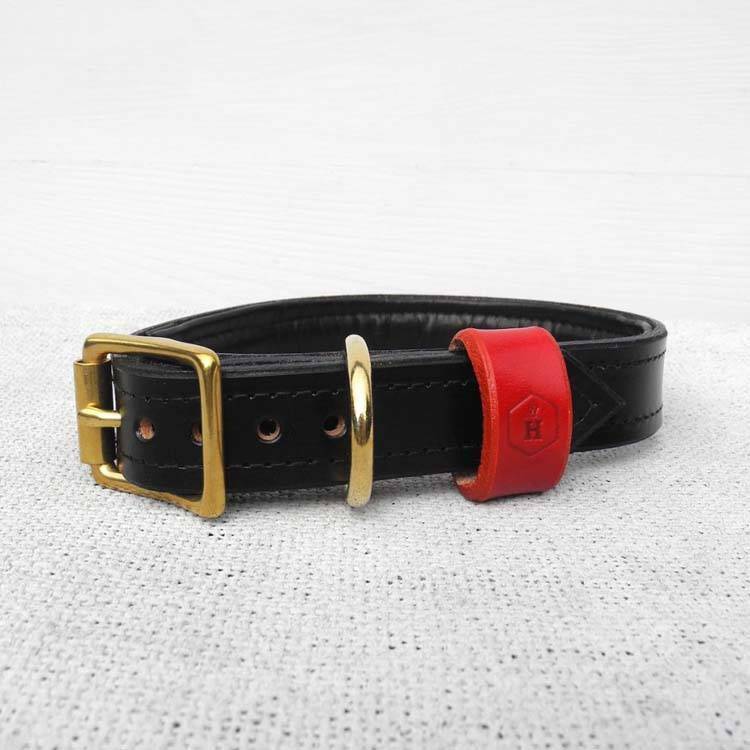 This dog collar comes from the top collection of Hounworthy and is lined with soft leather. The buckle and the D-ring are made of very strong solid brass. The color combination makes the collar look stunning. Color: black with red accent. 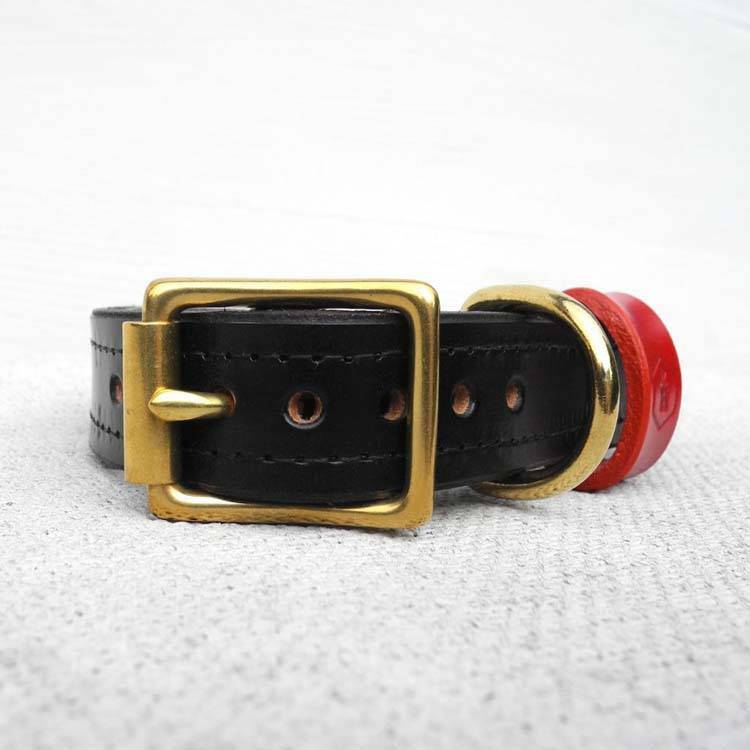 Width of collar: 25 mm.